I wrote a Talk of the Town on my meeting with Kubrick, which he liked. I was thus emboldened to ask if I could write a full scale profile of him. He agreed but said that he was about to leave for London to begin production of what became 2001: A Space Odyssey. Still better, I thought: I could watch the making of the film. Our first meeting was at the Hotel Dorchester in London where he was temporarily living with his family. Kubrick brought out a chess set and beat me promptly. Then we played three more games and he beat me less promptly. But I won the fifth game! Seizing the moment I told him that I had been hustling him and had deliberately lost the first four games. His response was that I was a patzer. 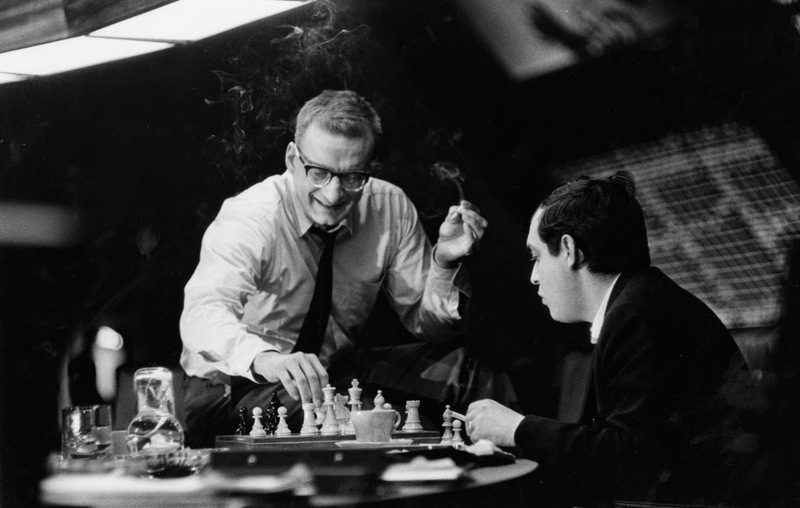 All during the filming of 2001 we played chess whenever I was in London and every fifth game I did something unusual. Finally we reached the 25th game and it was agreed that this would decide the matter. Well into the game he made a move that I was sure was a loser. He even clutched his stomach to show how upset he was. But it was a trap and I was promptly clobbered. “You didn’t know I could act too,” he remarked.